Now that you’ve fused all those blocks, let’s cut them out! This is one of my favourite parts of cutting (which is my least favourite part of sewing, so I try to find joy in it wherever I can!) because those exciting parts like fronts and collars are finally revealed, and you can really begin to envisage your coat. 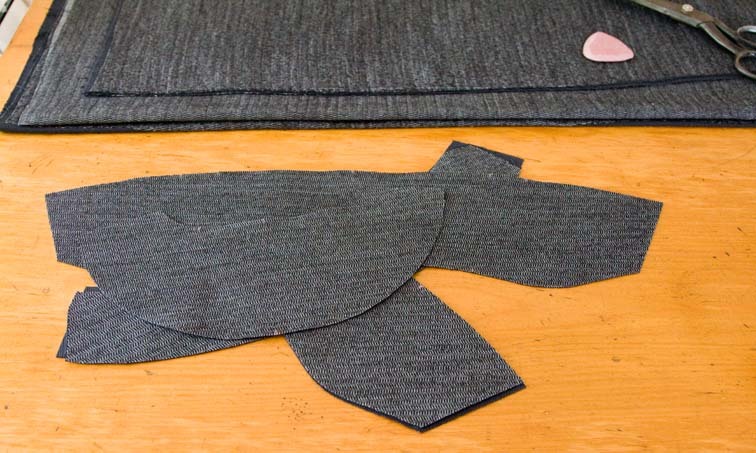 You might have cut a larger block and need to lay your pattern pieces out again – if you took a photo initially, this is when it comes in handy. And when cutting, remember which end of your blocks is the top – I usually trim the corner diagonally to denote this (although I haven’t here because the top of my pieces were fairly obvious) – it’s a good idea to develop a system like this to prevent mistakes. Remember top collar fall is the same direction as the back! I’m using some stash silk cherry jacquard that I initially bought to turn into a blouse, but I’ve decided black isn’t so flattering next to my face anymore, so lining it has become! That’s my cutting all done! Tying that bow also gives me a small sense of satisfaction – like ticking the box – cutting all done! Don’t forget to clean up – lol! How are you all getting on with your patterns and cutting? Any problems? Any questions? Ask away! Also, I’ve avoided pockets up to now. 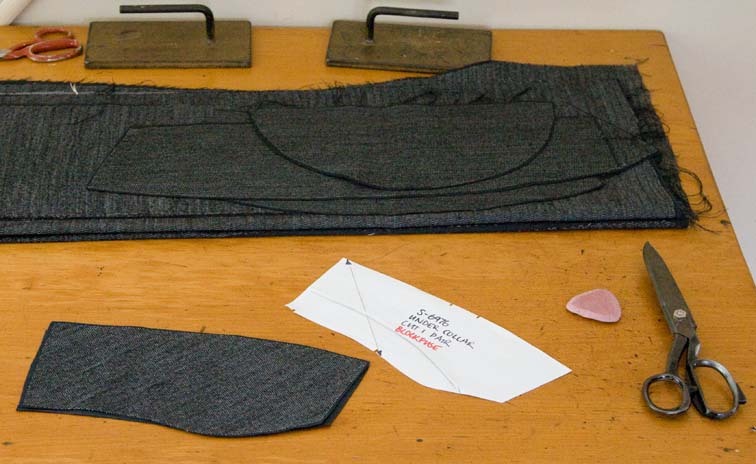 My coat has really simple inseam pockets, but I am happy to go over a few different types for the sewalong. Let me know what pocket types you want covered in comments! I've dyed my fabric, picked my lining, and will catch up this week! I've added a pic of my fabric at the flickr group, great idea! FLAPS of patch pockets. 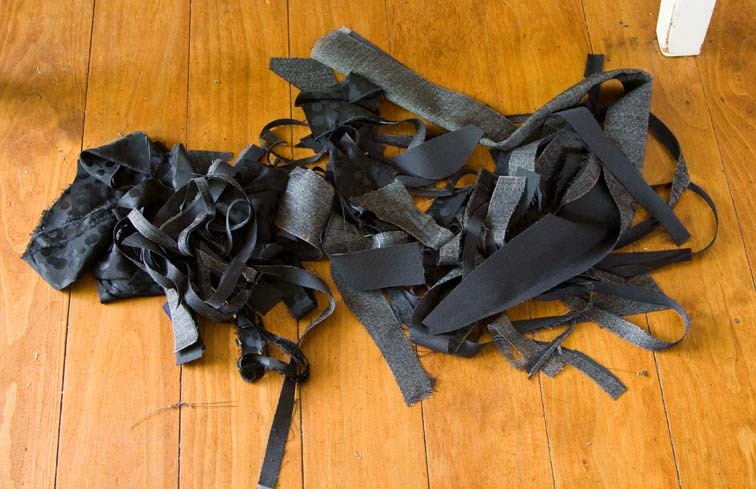 How do you sew them so that the raw edge is concealed? Thanks for the fabulous blog. thank you so much! You are really doing a great job. I'm very very behind – still working on my muslin, but I read and learn and try to catch up as soon as possible. Thanks for all your thorough posts. I am making welt pockets. There are already many good online tutorials on different pockets – perhaps we could make a topic in the flick group with links to good tutorials? I am still working on the pattern alterations, but hope to catch up with you this weekend. I'm glad to see I'm not that far behind. Even though my jacket isn't really tailored in the traditional sense, I'm trying to incorporate some of the things you're showing us here. My linen/cotton blend is kind of floppy, and a tiny bit opaque, so I ended up blockfusing all the pieces today. Hi Sherry – I have to apologise, I am SO FAR behind in this sew-a-long, I think I will have to tag along at a very late stage (as I'm now going away for 10 days!). I know you have already received a Stylish Blogger Award, but I have enjoyed your blog so much I just wanted to pass it on to you again. Thanks for all the great stuff you put in your blog. Hello Sherry , I am loving this . I will start my second coat soon and post it on this sew along . I am wondering why you do chalk lines around all the pattern pieces and then cut them out as opposed to pinning the pattern on and then cutting it out?. Is this just what you prefer or is there a good reason ? Thanks Marianne. ~mem – I prefer it, and there is good reason! 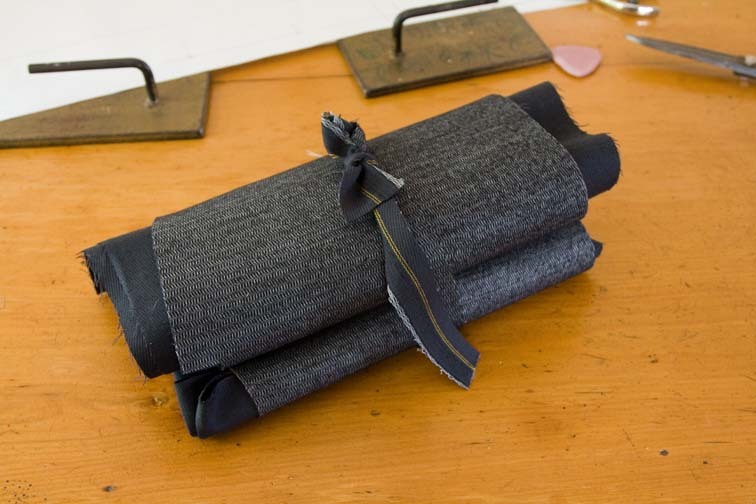 I can weight my pattern and chalk around it quicker than pinning, my pattern paper is a bit thick to pin, the pattern and fabric are flatter without pins so it's more accurate, you can cut several layers of fabric at once, you don't have to spend ages removing the pins, and pins always poke me! But then chalk can be messy stuff, and you need to sharpen it occasionally, and you can't use it with tissue patterns, so there are advantages and disadvantages of both! I did all the other stuff but find blockfusing corduroy very slow work. 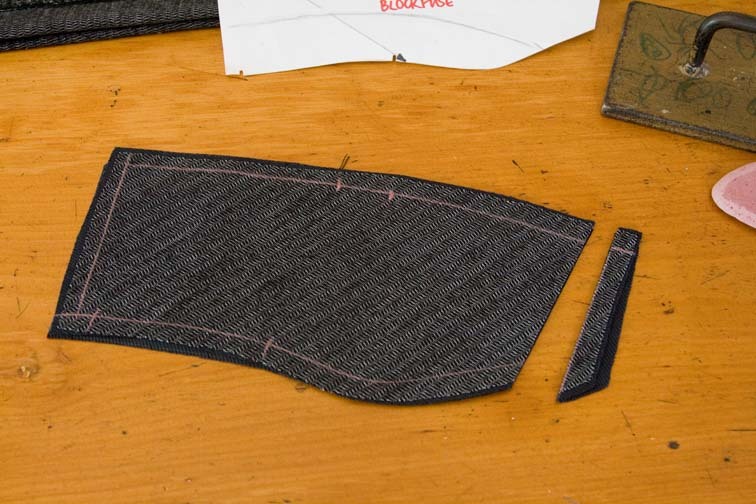 I'll have lined bellows patch pockets on the lower front, a welt breast pocket (maybe with a flap, I've never done one that way), and possibly want to try out K.King's invisible pocket for the lining. I am reading a long with you all. This is really great information!Thank you Sherry for doing this! Hi Sherry. I am going away for Easter, so I wanted to get a bit ahead before I go and began sewing the darts after having cut the fabric. However, as soon as I started I remembered how difficult it was to get the darts right last time I made the pattern. I am making the pattern with triple bust darts (http://www.flickr.com/photos/35208838@N05/5578540009/in/pool-1656185@N23) so the darts are unusually narrow. Have you any tricks to marking details that require a high degree of precision, that is, where even an error of a couple of milimeters makes a difference? I know you may cover sewing the darts later, but I guess this is partly a problem of marking? ~Gry – I mark my darts as outlined in the post 'Get Smart with Darts”. 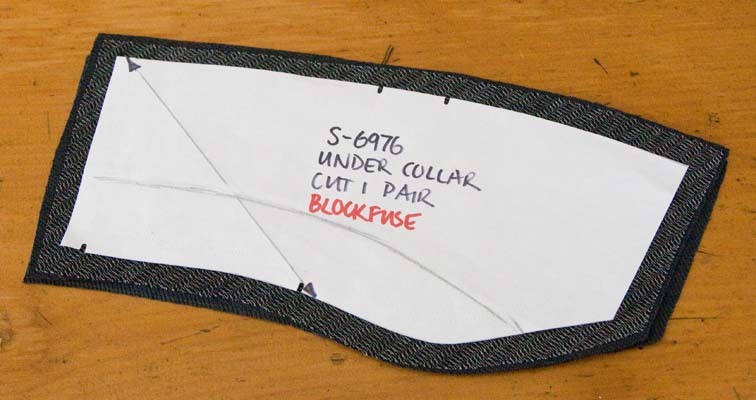 Once marked, I would double check with a ruler that your markings are evenly spaced, and as you sew keep the ruler by your side so that you can measure from the fold to your stitching line at critical points. I would probably sew the central dart first. You could always tack them in place first with a long stitch length too! Thank you Sherry. Starting with the central dart is a good idea. I can make two darts that look nice together, but when I make the third dart, it is hard to get exactly the same distance between them. Starting with the central one would probably help.